The Sonic Head-Jog is a weekly look back at the great Sega soundtracks of the past thirty years, from simple chiptune pieces to full-blown orchestral works. Where possible, Youtube links are provided throughout to let you hear the music for yourselves. Iveson went on to make lots of lush jazzy house under the name Atjazz and is still producing to this day; you can hear the prototype vision of his mix of house, garage, jazz, hip-hop and electronica in this week’s soundtrack. Around half of Iveson’s video game compositions were released on Sega systems, with some of the best Red Book audio on the Mega / Sega CD emerging from his studio but Martin was just as adept at chiptune work on the Megadrive’s YM2612 soundchip. Bubba N’ Stix has one of the most eclectic aural mixes on the system and, as with last week’s Wiz n’ Liz, introduces sounds unique to the game, rather than FM tones direct from the soundchip documentation. Sitting somewhere between trip-hop, dub reggae and jazz, the music sounds remarkably relevant and, to my ears, foreshadows the dubstep scene in mixing various forms of groove-based music and electronica to create one glorious whole. Being fomed around grooves does not mean Iverson skimps on track length by simply looping short patterns either, with most tracks being around three times the length of the average tune on the console. The first tune you’ll hear once booting up is the title theme, which starts out as a fairly jolly jazz number with a more-than-passable set of instruments before morphing into a wonky ska-flavoured fusion once the “trombone” kicks in at the 50-odd second mark. As with most of the Bubba N’ Stix music, if you skip the track thinking it’s repeating, you’re probably wrong… they are like “proper” tunes, with transitions, bridges and build-ups. From there, we progress to opening level, Alien Forest, where we almost have a G-thang going down. You remember that digital whistling sound in 90s West Coast rap? Imagine if a spooky theremin player got their hands on that and laid it over a dubby hip-hop backdrop. Again, this uses the fantastic trombone sound to great effect, I guess Iveson must have figured out the right tone for the instrument around the same time he was making these pieces, and they kick into a short-but-sweet keyboard solo flowing with a double-time beat just before the loop. We continue onwards to Waldo’s Spaceship, fittingly given a more “electronic” feel following (SPOILERS!) Bubba’s kidnapping by an alien chap. Despite the more otherworldy sounds and discordant opening there is still a jazzy, organic vibe,and this time the dubby elements are expanded on yet further with the emphasis on the off-beats and the lazy swagger of the reggae bassline . Some of the sounds used are more pleasant on the ear than almost anything else produced on the console and I have found myself listening to this track looping for about fifteen minutes before noticing that it hasn’t changed! The Volcano is next up in the set and, to my mind, it comes across as a slightly less abrasive and angular version of that classic Toejam & Earl funky hip-hop ideal. It’s a little shorter than the other tracks, but features some comedy sound effects and that amazing trombone sound so we can let Iveson off just this once. Our next piece is Marine Temple, somewhat akin to the tune you’d expect if there was a Hammer Horror movie about a vampire lounge-lizard. Though this is a touch more minimal and repetitious than the rest of the soundtrack, it’s by no means a duffer and the arpeggio section just past the two minute mark is astonishingly beautiful. The Spaceport follows, featuring reverbs and modulations on the some of the lead synth parts that I simply would not have thought possible on the Megadrive. There are also some proto-dubstep wobbly bass effects, though not strictly used as basslines but to add texture. Iveson’s trademark jazz wig-out passages creep in there too, just to keep you interested and while being far from the best tune on the soundtrack, it serves as testament to the mastery that a select few composers had over that tiny Yamaha soundchip. There are two pieces used for the bonus level and the boss which, while still excellent, are a little more generic and techno-ish than the rest. I think most rave-styled music on the Megadrive pales beside the sterling work of Yuzo Koshiro and Jesper Kyd and I would imagine Iveson and McCree would concur, leading to the more varied UK electronica approach in the Bubba N’ Stix soundtrack. 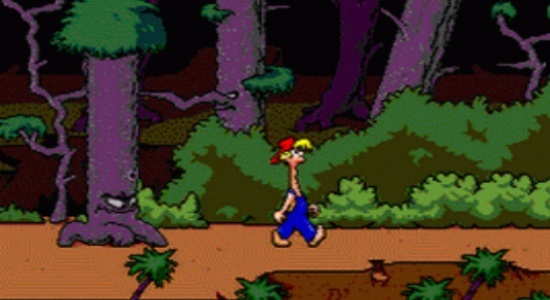 The tune played over the closing credits is also a little more generic than those in the levels themselves, but I think this is partly the nature of the beast when it comes to “Credits” themes and it must be remembered that to compare this triumphant, uplifting track to the innovative, original work found earlier in the game may be a tad unfair. As a whole, Bubba N’ Stix has a true jazzgasm of a soundtrack and should be checked out by anyone with even the vaguest interest in UK electronica, jazz or trip-hop beats. Currently on Project 2612, the online archive of Megadrive / Genesis music, the game’s tracklist has a rating of just 3.11 out of ten, which is is more wrong than Wrongy McWrongerson. I urge all Sega Addicts to download the soundtrack, give it a listen and vote to help bump the score up to a more appropriate level. The game itself is good too, definitely worth a play through (as are most Core Design games made prior to Tomb Raider: Angel of Darness). 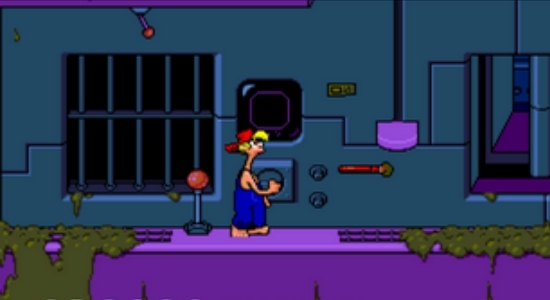 It has colourful, cartoony graphics and animation, and the play-style comes across as an attempt to fuse point-and-click puzzles with classic platforming action. 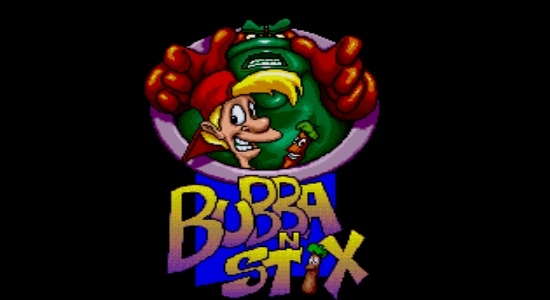 There is also that unmistakeable quirky feel that a lot of UK-developed Megadrive / Genesis games had, and Bubba N’ Stix stands as a perfect example of the final days of not needing a team of hundreds to make a top-notch title. What do you think of the Bubba N’ Stix soundtrack? And should I at least pretend I don’t want to write about Puggsy, another UK game from 1993, next week?! Let us know in the comments or in The Sonic Head-Jog Official Thread in the forums. I’ve never heard of this game. The music is sort of interesting though, it’s pretty impressive!